Woo! 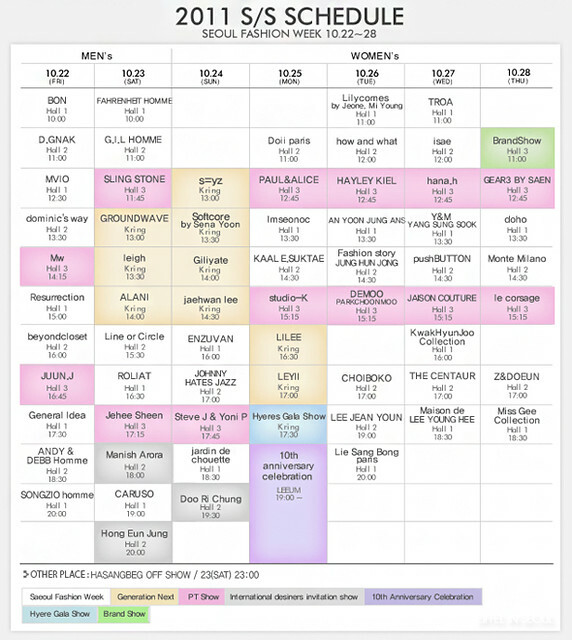 I almost forgot it's Seoul Fashion Week! It's gonna be the start of SFW today and I am more than excited for it! Although I won't be physically there, I hope there would be pictures! Not to mention, I'm sure you'll see tons of celebrities! Now, who is excited?! Stay tuned to Eiffel In Seoul for the latest updates! It's really nice of you to do that, it helps us (as people not in Asia) have access to something different.... I hope we'll see a lot of what korean designers have to offer.